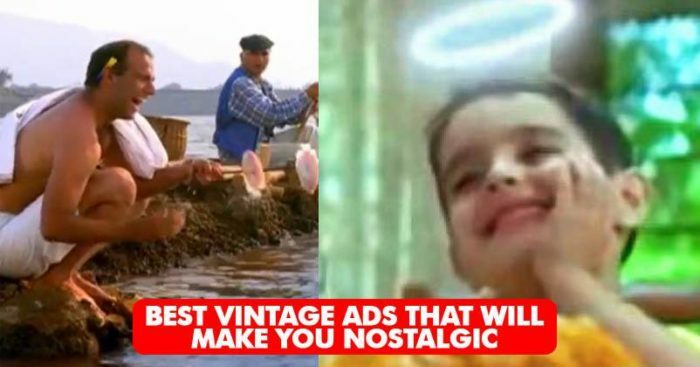 These Ads From 90s Will Surely Take You Back To Your Childhood Days! Though decades have passed on, some of the ads being aired on television still remain fresh in our memories. Some brands and their taglines were so catchy and iconic that it’s tough to forget now even. Back those days when Doordarshan was one of the only channel being aired and ads like the devil of Onida and kids in Complan ads were very popular. Even now the adverts do peep in between every program but commercials of childhood days were so very energetic and unique with the music and catchy lines that they still stand out. So we list for you some such commercials that would take you down the memory lane. Are you ready to get nostalgic? Rahul Dravid is known as Jammy. Kissan Jam was clever enough to rob in Rahul Dravid for their ad and showcase his mischievous side with the tagline ‘Jammy is coming towards Jam!’. Not to mention we adored the ad and young Dravid. The chocolate and this ad were both our favorites. Remember the bunch of kids fighting it out in the space! We have witnessed a lot of Pepsi commercials featuring our favorite stars that are too tough to forget. But this one featuring Sachin Tendulkar was no doubt our favorite. The fans showing their love towards the master blaster was too much! Infectious as I must say! Seriously ‘Dil Maange More’! This was the commercial of a Japanese bike and it was famous due to the catchy lines. ‘No Problem’ to recollect this one! The jingle ‘jab ghar ki raunak badhani ho, deewaron ko jab sajaana ho..’ is too tough to forget. It still is so fresh in our minds! ‘Tan ki shakti man ki shakti’ was too much motivating even for a milk hater to go and grab a mug of milk with Bournvita! Ah! That Devil! How dare you forget him? Still, there has been no commercial made on television to match the cool quotient of this Onida ad. The perfect ad to give us a feeling of being Indian. The song ‘The taste of India’ still remains fresh in our memories. And the yummy product display! The bubbly Preity Zinta gave us major goals to take a shower and sing the iconic ‘la la la laaaaaaaaaaa’. How could you forget this refreshing ad? We still remember the tagline “Vicco Turmeric Nahi Cosmetic!’. That was pretty catchy! Fevikwik has always come up with weird and quirky commercials. But this one from the 90s was the best. The funny fisherman’s expressions was worth a million. You can’t forget that cute little kid! Can you in that Jalebi ad? That was Parzaan Dastur who became most loved and cutest thing to arrive in commercials during the Dhara Oil ad. After all this, we can just wish that those old 90s days were back! What was your favorite?